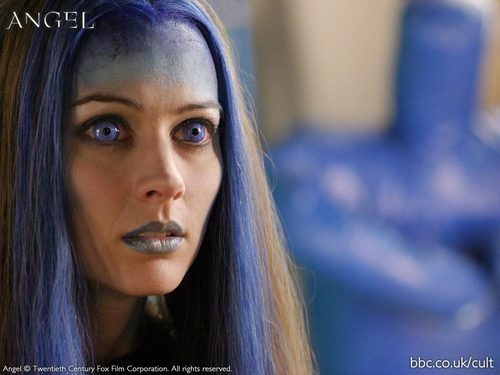 amy as illyria. . HD Wallpaper and background images in the Amy Acker club tagged: amy acker image angel illyria wallpaper. This Amy Acker wallpaper contains portret, headshot, and close-up. Does anyone know which episode is this?